12:12 Krock what's wrong with me when I read "dinosaurs" but there's actually written "binoculars"
12:13 Raven262 Cause our brain reads the first and the last letter when looking at a word. 12:13 Raven262 It is meant to be fast. 12:15 Megaf whats the symbol for different? 12:23 Raven262 That one is too short, Megaf. 14:54 Calinou the S3TC patent is dead, long live S3TC! 16:19 IhrFussel Does anyone know where I find the executable of libluajit? 19:33 Shara Anyone have an easy to understand example of how I can make a player-specific detached inventory work properly (like bags and 3d_armor seem to)? 19:34 Shara I can do what I want with player inventories, and it works fine, but then I lack callbacks... which I need for the next thing I want to do. 20:07 sofar my server is 24mb total map.sqlite! 20:15 xerox123 is it resource intensive to prune? 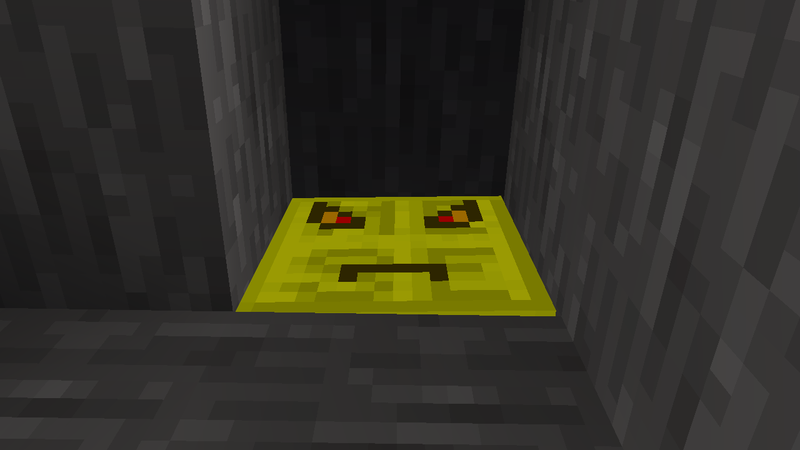 20:28 bigfoot547 May I enlist the help of someone to come onto my Minetest server and help me build the spawn area? 20:41 Shara Well, more like 0 - 984755 or something by now. 20:47 Shara I had hoped someone here would have a spare sword of mod-smiting, but it seems it's not the case. 20:48 bigfoot547 Shara: Why not use the airsword? 20:48 Shara I tried, but it went right through it. 21:29 Shara Think I have the main problem solved now though. 21:41 Calinou VanessaE: have you been running the latest More Blocks Git commit on your server? does it run well? 21:44 Fixer anyone https://github.com/minetest-mods/moreores/pull/27 ? 22:26 sofar anyone try connecting to my minetest server over ipv6 please?! 22:35 sofar sfan5: mind trying one more time? 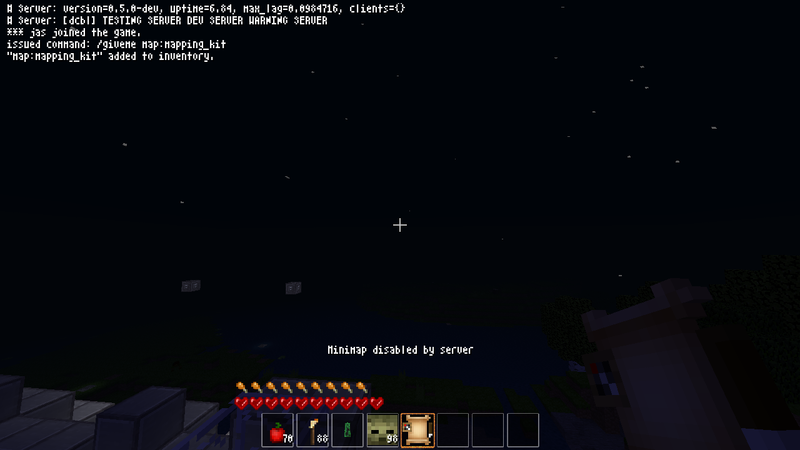 22:37 Fixer why minetest minimap is THAT SLOW? 22:37 sofar sfan5: do I need to announce to v6.servers or is there some smartness in the client? 22:39 sofar sorry, reverse ipv6 lookup? 22:40 sofar or just both A and AAAA records? 22:43 Fixer where is more tree variety? 22:57 Fixer mapping kit... how it works? 23:03 paramat do you have minimap disabled? 23:04 Fixer how to use it? 23:22 jas_ i am auth'd, and will autoauth if i reconnect, so..
23:29 Fixer so i need to type F9 to make it work? 23:30 paramat "Once crafted, to instantly enable, 'use' (left click) the item, otherwise the minimap will be automatically enabled a few seconds later." 23:31 Fixer it is not enable F9 by default? 23:36 paramat owning the mapping kit allows the use of minimap, 'using' it is just a way to immediately allow the use. i admit the README is open to misunderstanding, perhaps i should edit it ..
23:40 paramat i don't think 'using' it needs to switch minimap on, as we already have a key for that, why duplicate? 23:51 paramat however, currently, the alternative is to wait a few seconds, so ..
23:53 paramat that foghrye person had a PR (that was far too complex) maybe we can cherry pick from that?